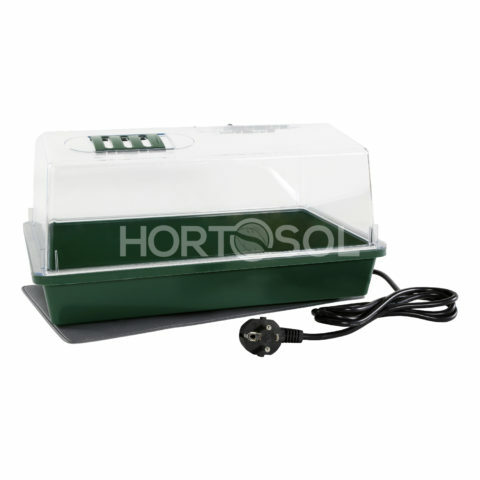 Propagators allow an easy and successful growing of seeds. 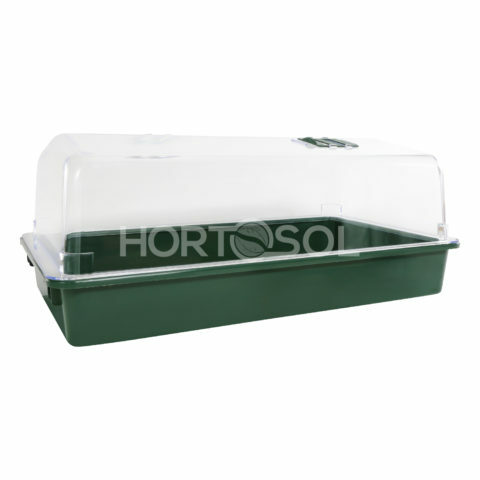 The HORTOSOL greenhouses are built of high quality plastic. 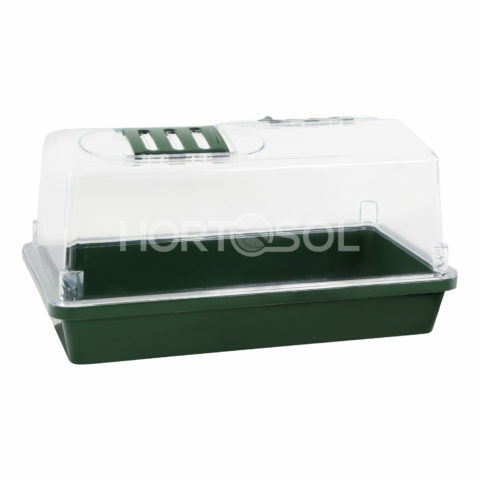 The transparent covers are made of sturdy translucent material. 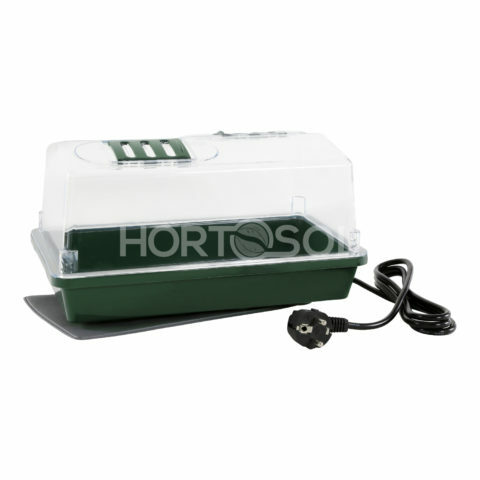 At the top there are two sliders for regulating ventilation. 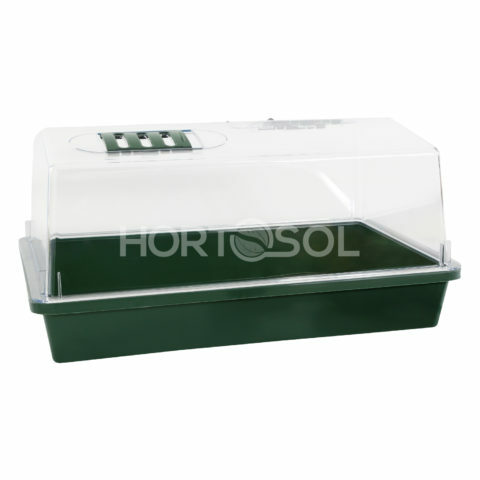 The green seedling trays have bracings for a secure footing. 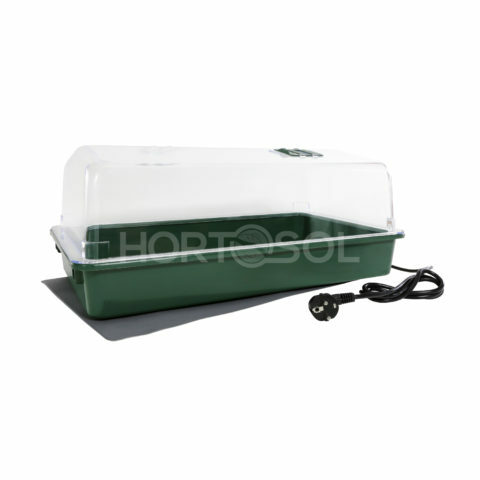 Because the large height of the propagators it is possible for fast growing plants to stay for a longer time in it.